It can be tough for anyone to lose a spouse. Unfortunately, one elderly spouse typically passes away before the other. If your mother or father recently passed away, then it is important to help your surviving parent get through this tough time. 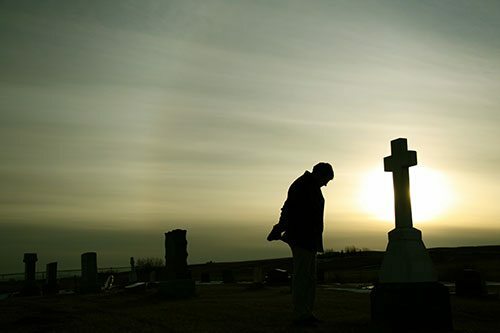 Studies have shown that after the death of a spouse, a person over the age of 50 is 66 percent more likely to die in the three months following the death. While researchers are unsure of what causes this phenomenon called the “broken heart effect,” read on to learn the benefits of moving your surviving parent into an assisted living facility after the death of their spouse. Many researchers believe that the elderly are more likely to die after the death of spouse due to the surviving spouse’s tendency to neglect their health during the grieving process. The surviving spouse may skip doctors appointments, forget to take medications (especially if their spouses always reminded them to take them), and/or forget report new symptoms of illness to their doctors during this stressful time. After your elderly loved one moves into an assisted living facility, the staff will ensure they visit the doctor on a regular basis, provide medication reminders, and take all steps needed to help your loved one stay in great health. Many elderly couples enjoy preparing and enjoying meals together. Your surviving parent may not want to prepare a full meal when cooking for just one, so they may be eating unhealthy quick meals and snacks throughout the day. If the spouse who passed away was the main family cook, then the surviving spouse may even be picking up unhealthy fast food meals to eat due to not knowing their way around the kitchen well. In an assisted living facility, your elderly loved one will be served healthy meals every day, so you can feel better that they are getting the nutrients they need to stay in good health. Also, if your loved one is on a special diet, such as a heart-healthy diet or diabetic diet, you can feel confident that the staff will ensure they stick to this diet. There are many activities that are great for a senior’s body and brain health. Brain stimulating activities include games and arts and crafts. Any type of low-impact physical exercise can help keep their body in good health. Your elderly loved one may have trouble locating game partners when living at home and not want to exercise alone. Assisted living facilities often have scheduled activities throughout the week that all seniors in the facility are welcome to participate in. Your elderly loved one won’t have to worry about finding activity partners for these activities and can even make great new friends while participating in them. The friends your loved one makes will also benefit their physical and mental health. Studies show that seniors who feel isolated and lonely have higher mortality rates than those with active social lives. In addition to experiencing a lower mortality rate, those with active social lives tend to display better cognitive functioning, increased self-esteem, a more positive outlook on life, and even better physical health. It can often be tough for two elderly people to maintain a household, especially if both partners suffer from health problems. Now that one parent has passed away, your surviving parent will now face maintaining the entire household alone. This can be a tough task, even if family members pitch in to help. After your surviving parent moves into an assisted living facility, they won’t have to worry about this maintenance. They can choose to keep their smaller living quarter tidy on their own or have housekeeping keep them tidy for them. If one of your parents recently passed away, then contact the staff at Longwood Plantation to discuss your surviving parent’s assisted living options.